Increased arterial to venous shunts in the circuit.Historically, perfusionists at the University of Texas Health Science Center in San Antonio routinely monitored the arterial output flow rate in cardiopulmonary bypass circuits with a transit-time ultrasound clamp-on Flowsensor. 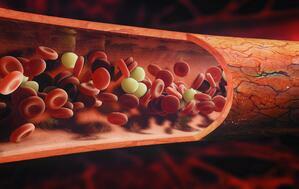 VAVD was monitored by observing venous line chatter and changes in the level of the venous reservoir. The perfusionist was able to optimize the amount of vacuum being applied to the reservoir and reduce some of the known side effects from excessive vacuum pressure.